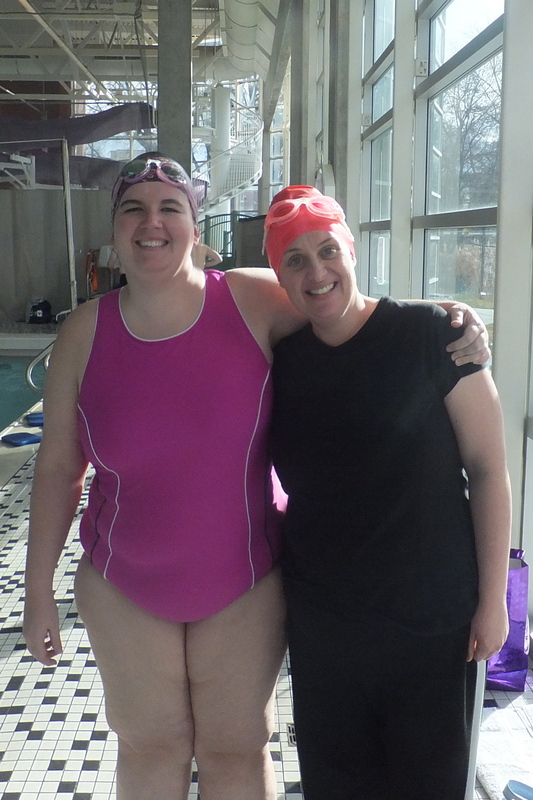 Its been a few months since our last Masters meet but finally the QUAC meet arrived today. 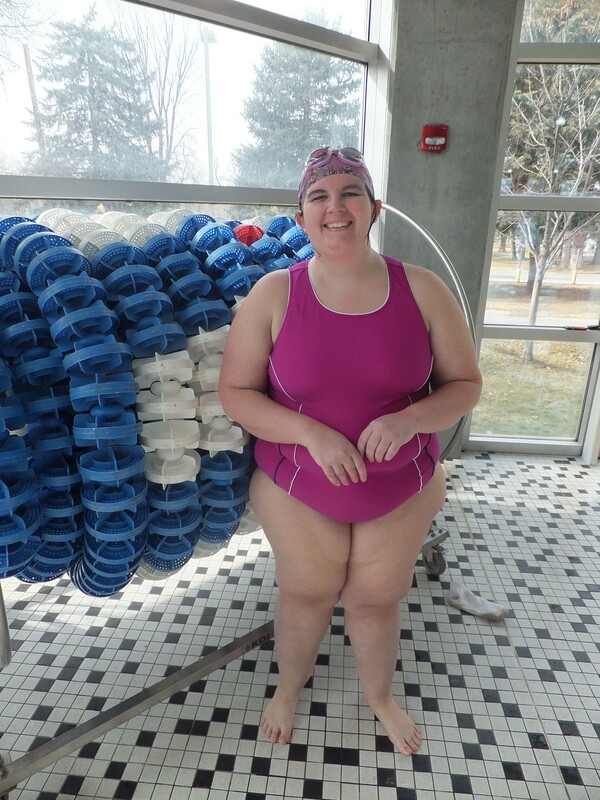 This is a meet sponsored by the QUAC swim group (Queer Utah Aquatic Club). And I will just start by saying I have no issues going to a meet sponsored by a gay group. I think it is important to focus on the things we have in common rather than our differences. How can a dialogue begin if we never converse on an equal playing field? So, that’s that. The meet was a lot of fun. Thanks to everyone who helped prepare for the meet, scheduling the pool, administrators, volunteers and getting great goodie bags! I appreciate all the effort that went in. Unfortunately I was on a bad stretch with my fibromyalgia. Three days of bad pain. (I had another reminder this week that enduring the pain is better for me than going the drug route. Its just too easy to fall prey to addiction and dependence). I was nervous I wouldn’t be able to swim at all. 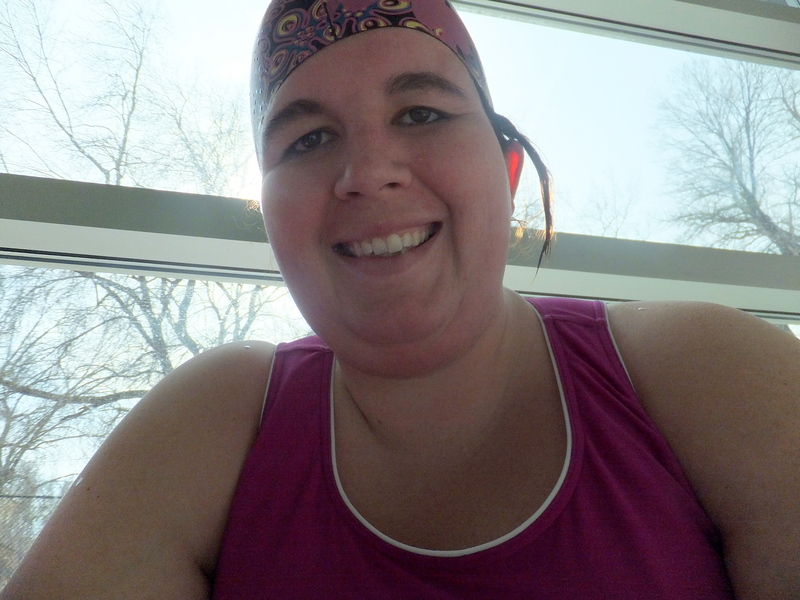 However, I am not a quitter so I swam my best and had a great time. (btw, thank you to Doterra essential oils for getting me through the pain! I’m a preferred member if any of you want any oils. They are the best for pain.). The first race was supposed to be the 50 free but I missed the announcement and didn’t get to swim. 😦 . The whole meet went by very quickly. They started way late but once it got going it really clipped along. So then I swam the 500m’s. This is 20 lengths or 10 laps. Thanks to Goody for being my lap counter. Unfortunately I had forgotten my inhaler and I think that slowed my results. It was hard fought and just slightly under my best time coming in at 12 min 25 seconds. With all the emotional and physical stress I’ve been under lately I was very happy with that score. I got out of the water and felt like I was going to pass out. I had a splitting headache and felt spent. I wondered if I could make it through the 50 fly. However, after a little rest and some nuts I swam the 50 fly and took 1 second off my last time! Wahoo! My friends all did great as well. It was so fun to cheer them on and hear them cheering me on. Utah swimmers are the best! There is nothing like being in that water racing. Its like everything zooms up on you and all you can see is water. It is the most therapeutic thing I’ve ever done. I just love it! I’m not sure when the next meet is but I’m looking forward to it. Thanks again to all who worked to make the day happen and for everyone that cheered me on. My friends Kate and Tracey. Most weeks we meet and swim. Love them! 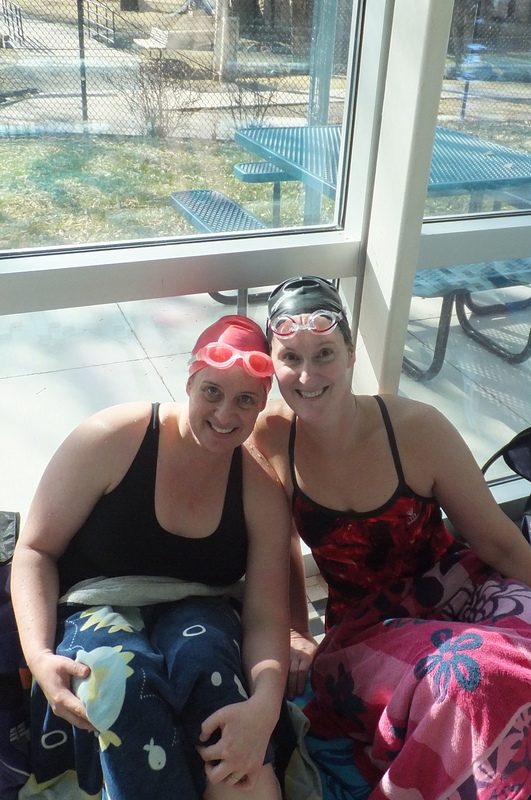 Kate and I at the meet.